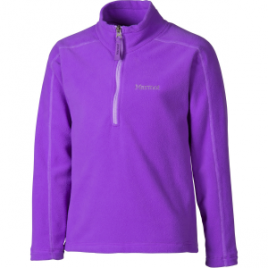 The Marmot Boys’ Rocklin 1/2-Zip Fleece Jacket provides lightweight warmth for speedy skiers and young hikers. 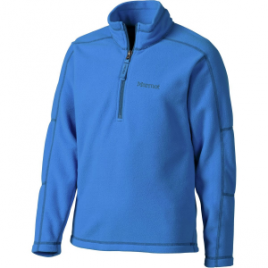 Its microfleece fabric feels so soft that he’ll want to wear it inside as well as outside, and Marmot added a 1/2-zip front for ventilation so he doesn’t overheat. The Marmot Girls’ Rocklin 1/2-Zip Fleece Jacket is an excellent midlayer for winter skiing, and she can hike in it until then. Its lightweight microfleece feels so soft that she’ll want to wear it off the mountain too, and flatlock seams keep chafing to a minimum during long days at the resort…. Slip the Marmot Men’s Rocklin 1/2-Zip Fleece Jacket under a shell when you hit the slopes, or rock it solo when you’re hanging around town on crisp evenings. 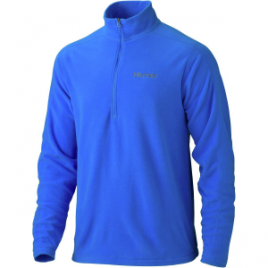 Either way, the soft, moisture-wicking fleece fabric will help you stay dry, warm, and comfy.